Right now you can get Free Shipping PLUS a free Heart Pendant. Anjolee.com is the leading manufacturer of fine diamond earrings. Anjolee’s collection includes: diamond stud earrings, diamond drop earrings, diamond tennis bracelets, gemstone bracelets, diamond necklaces, pendants, wedding rings and bridal jewelry. You will receive 20% off regular priced items and 25% off sale and clearance items from 7/15 – 7/26/10. Get some great shoes, boots, sandals, and accessories today. Some exclusions apply see site for details. Get ready for Back to School with Road Runner Sports’ Buy More & Save More tiered offer! Click here to order your running shoes today. PLUS you’ll get FREE Shipping on your order! Effective today, July 15th, through August 4th, Boscovs.com is having a 20% off Skechers Shape Ups Event . And through July 17th, receive Free Shipping on your $50 purchase! 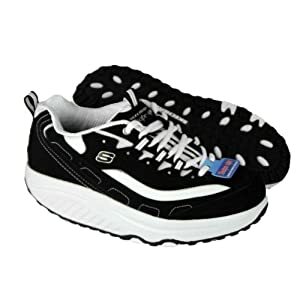 Make the most of your walking work out with the SKECHERS Shape Ups exercise fitness shoe. Smooth nubuck upper in an athletic trainer with stitching, overlay and perforation detail. Simulates walking barefoot on a yielding surface such as sand. Shop Wickers for Performance Underwear, Moisture Wicking Thermal Underwear, High-performance all weather clothing and underwear, and Flame Retardant Thermal Underwear. Because you never know what life might throw at you. 39DollarGlasses is still celebrating 10 years of offering high quality prescription glasses at 70% below what you’d pay in a storefront optical shop. 39DollarGlasses.com is a great place for prescription glasses and sunglasses. They offer designer frames, current fashions, fast turn around, and a warranty. Get beautiful diamond jewelery, earrings, bracelets, wedding bands, and more. Check out ShoeSteal.com‘s 75% OFF sale! Shop ShoeSteal.com between 7/9 – 7/18 and save 75% off All Bags and Select Women’s Shoes. Participating brands include Born, Calvin Klein, CL by Chinese Laundry, and Big Buddha.